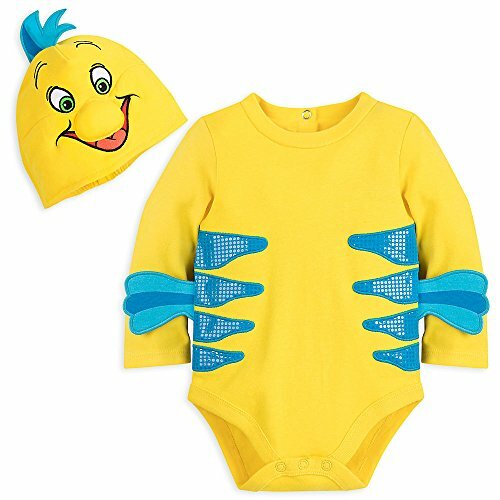 Our Baby Flounder Costume is a great Baby Fish Costume. 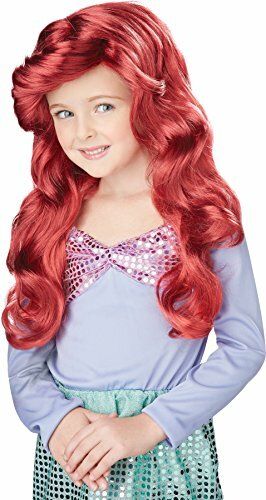 For other great Little Mermaid characters consider any of our Little Mermaid Costumes. 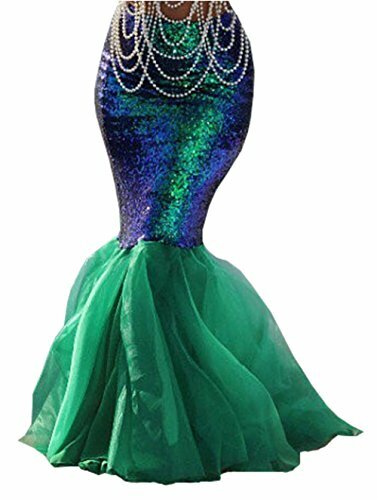 Let your little undersea cutie dress and live the part of Ariel's fishy friend in this adorable Flounder Costume Bodysuit. With 3D fins and scale-textured stripes, this outfit is sure to bring waves of joy. He is *not* a guppy and he will tell you so. Flounders are known for their distinctive eyes, bottom-dwelling habits and deep friendships with diminutive mermaids. 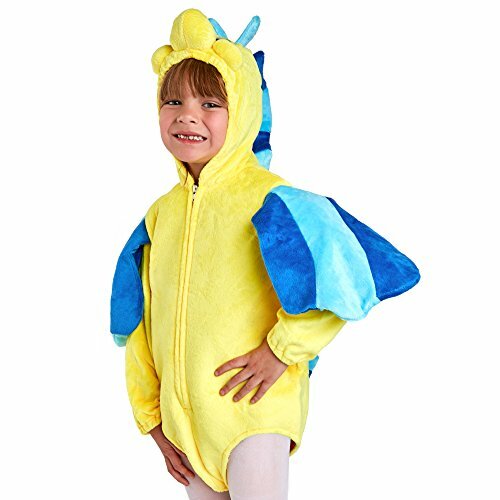 Our flounder fish costume features iconic yellow and blue colors and is designed for kids wearing a size 4T. 6025M Size: Medium Features: -Gender: Unisex. 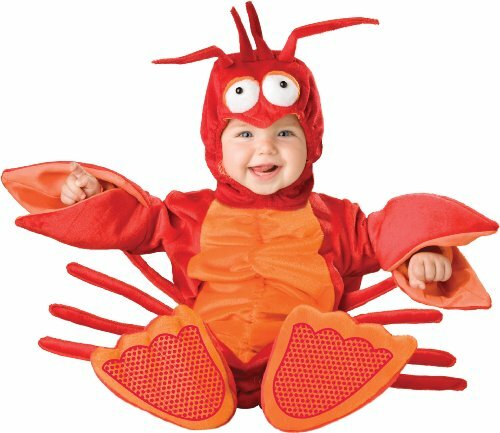 Includes: -Includes: A jumpsuit with lobster claw arms and attached lobster legs, a hood with antennae and shoe. He is *not* a guppy and he will tell you so. Flounders are known for their distinctive eyes, bottom-dwelling habits and deep friendships with diminutive mermaids. 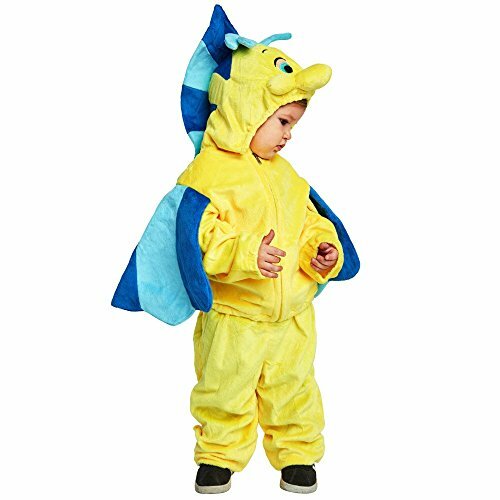 Our flounder fish costume features iconic yellow and blue colors and is designed for kids 24 months. Your child can dream like a superhero with these cool Gekko PJs just like their favorite character from PJ Masks! The child costume includes a green jumpsuit with printed scales, tail and soft foam headpiece. A great child Halloween costume or for birthday parties or just as pajamas! Add your own socks. Fits child sizes 3T-4T. Your child can dream like a superhero with these cool Owlette PJs just like their favorite character from PJ Masks! The child costume includes a red jumpsuit with detachable cape and soft foam headpiece. A great child Halloween costume or for birthday parties or just fun play! Add your own socks. Fits child sizes 3T to 4T.